Many believe the Unionville girls’ cross-country team will take the national title in the Nike Cross competition on Dec. 7. If you couldn’t travel to Portland, Ore. to cheer on the Unionville Girls’ Cross Country Team in the Nike Cross National, you can still watch the action live. 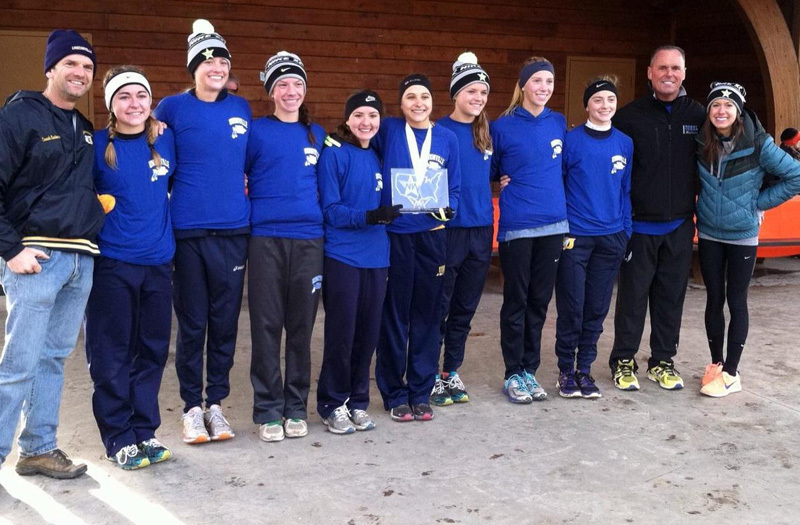 The state champions, listed as the Unionville Running Club, will be chronicled by computer on Saturday, Dec. 7. The girls’ race starts at 2:35 p.m. at http://nxn.runnerspace.com/. 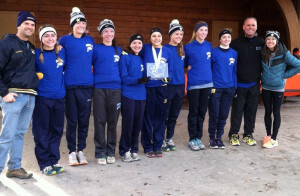 The top-ranked Unionville girls’ team proved itself best in the state in mid-November and and then outran teams from the entire northeast, winning the Nike Cross Nationals at Bowdoin Park in Wappingers Falls, N.Y., setting up the quest for the title of top cross country team in the entire nation. Led by senior Courtney Smith — the overall winner of the qualifying race, which featured the top runners and teams from Pennsylvania, New Jersey, New Hampshire, Massachusetts, Vermont, Maine and Rhode Island — the top ranked Indians won the overall team title. And while Smith’s win was impressive, Unionville placed five runners in the top 60 — out of 231 — including Olivia Young taking home fifth place, Kacie Breeding ninth place, Gretchen Mills 20th and Emily Fisher 60th — showing why many observers think Unionville is the team to beat.